Search Engine Optimization benefits all business websites. All of your customers should be able to type the name of your company into a search engine and find you on the first page. If you are getting complaints from your customers that they canʼt find you online, your company will benefit from SEO. More then ever, search results are rewarding businesses that are taking the time to put out website content that is high quality and highly useful. What we like about the new SEO parameters for 2013 is that none of this is busy work. Everything that is good for search is also just good marketing tactics for your business. The bad news is there are no secret tricks or pieces of code we can apply to your site that will manipulate search results in your favor. Those days are gone. If you sped through the process of writing your website content when it launched, make this the year you really go back through your website and create a better experience for your visitors. The best advice we can give you is: you are going to need a plan. Quality Content – Yes, you need to have something interesting to say, something that the search results will consider a resource, something that people will share. Up-to-Date Pages – Search results favor the latest information. Don’t let the existing content on your website go stale. Keyword Focused – Don’t update or post content for the sake of posting. In order to the get the SEO benefit, your content needs to be focused on strategic keyword phrases. If its been awhile since you researched your strategic keywords, put this on your to-do list for 2013. Good Analytics – Make it a goal to become very familiar with your website statistics. Search engines are now paying very close attention to user data and traffic trends. Socially Connected – Engagement or Social factors are now part of how a webpage or piece of content gets ranked. When content is shared by people who read it, it gains creditability. If you have been thinking about social media or maybe have a start, this would be the year to get serious. Not to mention it could help drive extra traffic to your website. Blogging Strategy – If you have been thinking about blogging or maybe already have a start, make this the year you ramp up your efforts and become very consistent with your posts. Search engines love blogs, use it to your advantage. 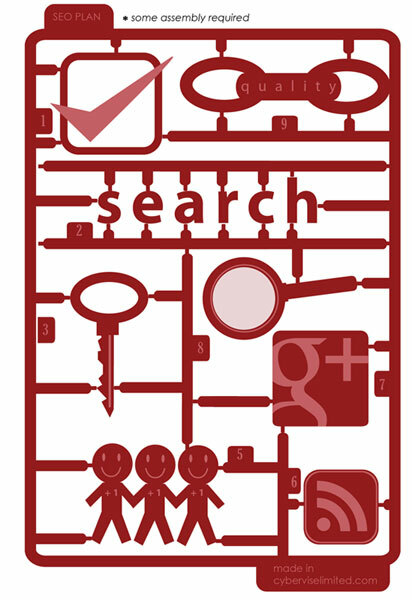 Google+ – This might be your one secret weapon for 2013. Google has incorporated +1 references in their search results and it is showing up on many parts of the search result pages. Learning more about Google+ will be a necessary part of your SEO efforts. Adwords PPC – Due to the formatting changes Google has been making to its search results pages, Adwords are doing better then ever. More traffic and visibility provided by the ads also contribute to other factors mentioned above. Quality Links – Getting links is still important, but its no longer about volume, its about quality. Search Engine Optimization is an ongoing process and not a one-time project. As with any form of marketing you must keep doing it in order to continue to receive the benefits. Since Search Engines are third-party proprietary programs, the results of an SEO project cannot be guaranteed. We recommend that websites should be live at least three months before beginning this process.